The Maruia valley contains a fine stand of red and silver beech trees. 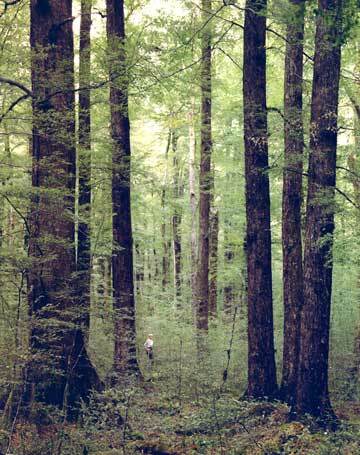 The largest trunks are red beech, which can grow as tall as 30 metres. The forest interior is quite open, with beech saplings growing below gaps in the canopy.